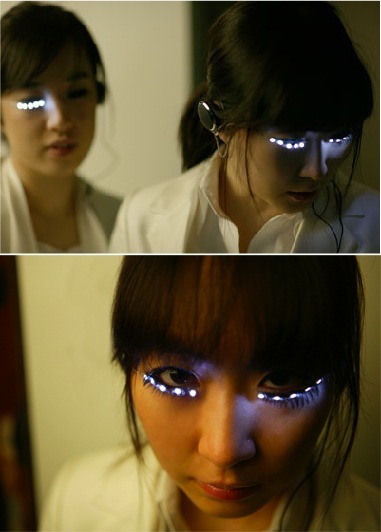 Soomi Park’s light-up lashes, via Eyebeam. This gives hair extensions a new lease on life. Can I get some for my beard? I’d love to embed them up my nose or in my cheek and have weird lights on (or under in this case) my face.